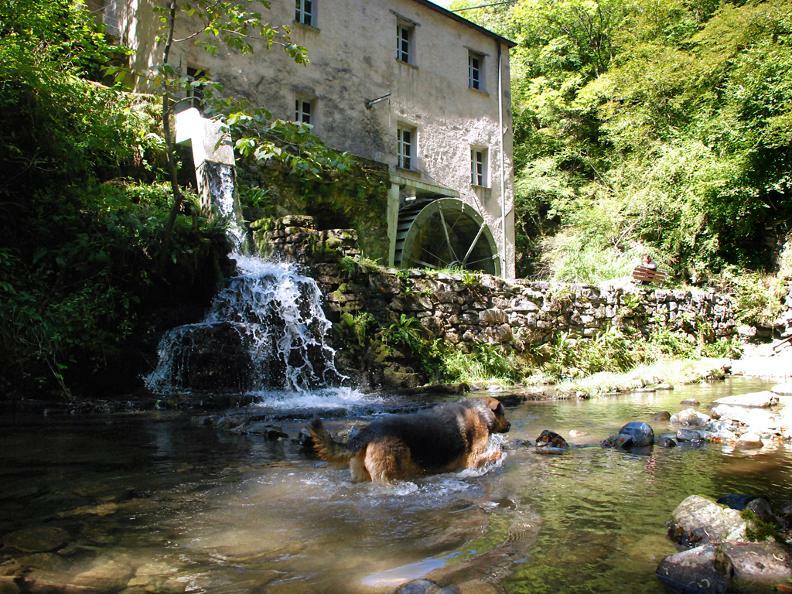 In the charming valley carved by the river Breggia there is the Mulino di Bruzella, an ancient millstone restored and working since 1996, when it resumed its activity of grinding. 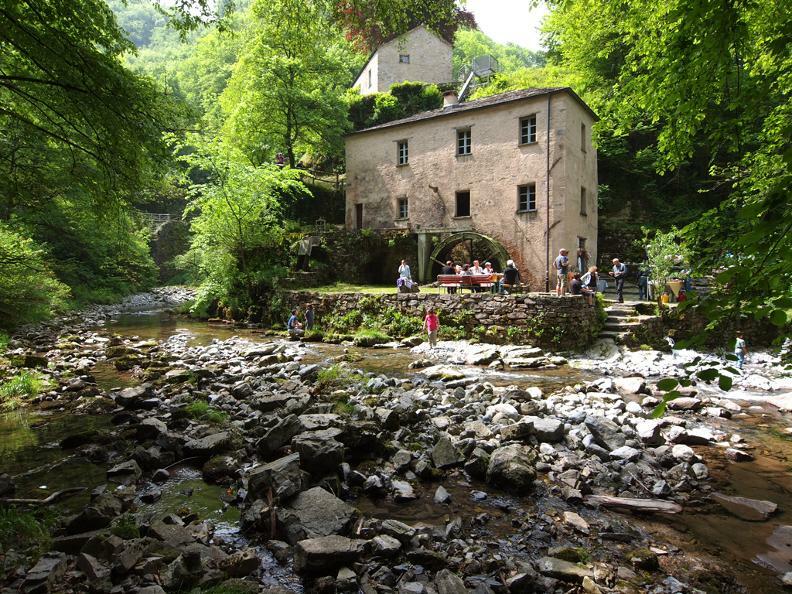 It can be reached on foot in 15 minutes from Bruzella or Cabbio along the old mule track that starts from the cantonal road. The Bruzella mill normally operates on a regular basis thanks to the expertise of the miller Irene Petraglio and Giuseppe Bernasconi. The visit to the mill is interesting and instructive and allows you to understand the operation of this great machine with its components: the water intake, the irrigation ditch, the large iron cassette wheel, the transmission mechanism, the hopper and the buratto. 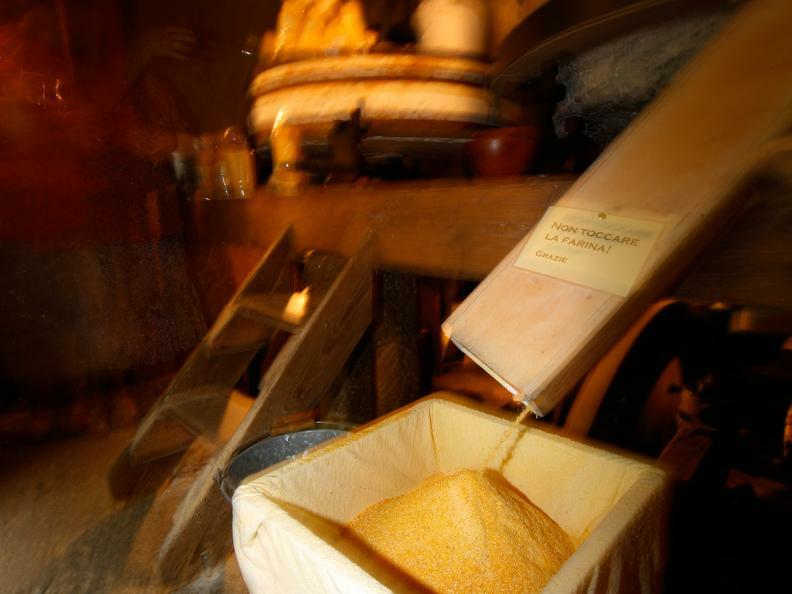 It is possible to buy the flour for polenta. In the building attached to the Mill there is a permanent exhibition curated by the architect. Thomas Meyer From the mill to the paper mill, a research on the art of grinding and on the hydraulic machines of the Breggia. For detailed openings, see the MEVM activity calendar. 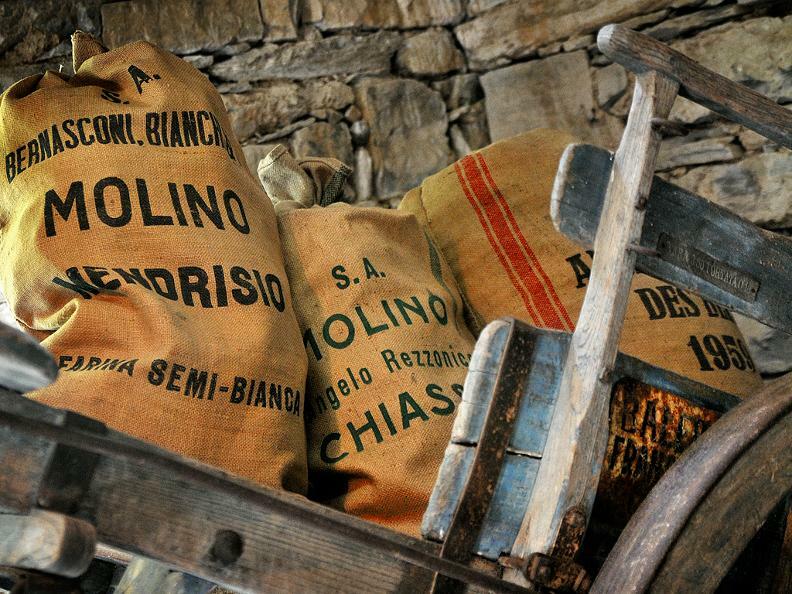 Possibility to buy on site the Rosso del Ticino, flour for polenta, variety preserved by ProSpecieRara; indigenous corn flour; corn flour for biscuits and biscuits with corn flour.